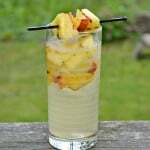 It’s summertime and that means I love to have a summer sipper while I’m out on my back porch. I often will sip on a glass of crisp white wine or have a glass of sangria but sometimes the day is so hot that it calls for a frozen drink. While I like a classic margarita, I prefer it on the rocks to frozen so I was looking to make something a little different. If you followed my adventure to the Food Wine Conference in May you will have seen that I met some fabulous sponsors. One of those was CK Mondavi. I’ll admit that I’ve had CK Mondavi wines several times in the past but they weren’t one of my normal wines. I had the privilege of enjoying several glasses of their wine during a dinner at the conference as well as trying a few other another day. My husband and I both fell in love with the Blonde Five wine. The Blonde Five is a light white wine with aromas of honeysuckle and pear. It’s made with five different varietals of white wine and it’s simply perfect for summer. It’s light, it’s fruity, and it’s just a touch sweet. I’m not big of sweet wines if I’m drinking them as is. We searched high and low in our area to find it and it turns out there’s a seafood place about 20 minutes away that carries it. I went in the other day and bought all 4 bottles they had on the shelf. In addition to the Blonde Five I’ve tried the Sauvignon Blanc and the Moscato. The Sauvignon Blanc is medium bodied and has grapefruit and citrus notes with a clean finish. 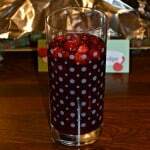 It’s also a great wine for sipping and the one I like to use when I make sangria. That leaves the Moscato which is the star of this recipe. Moscato is a sweet wine. A lot of my friends are big fans of drink a glass of cold Moscato in the summertime. I prefer to use it in wine punches because it adds sweetness and flavor. 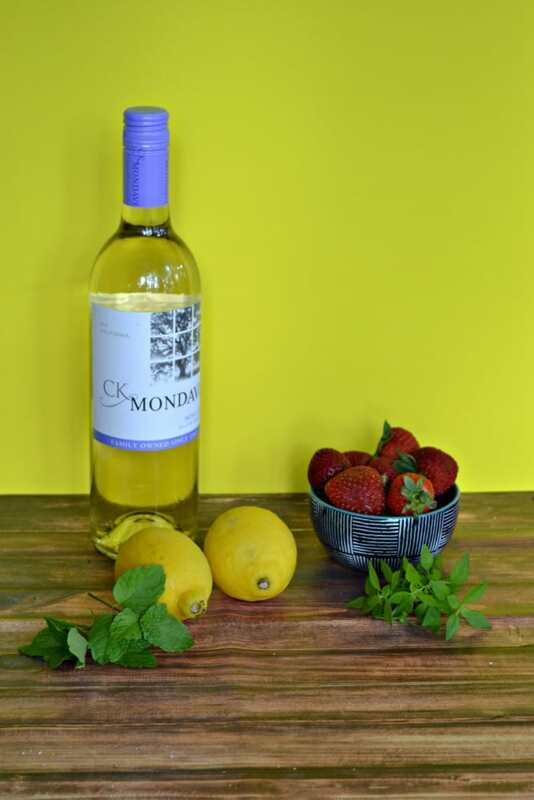 CK Mondavi Moscato has a floral, fruity taste and ends with a bit of lemon on the finish. 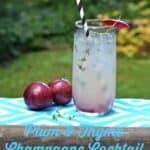 Because of the lemon in this wine I thought it would be perfect in a Strawberry Lemonade Moscato Punch. 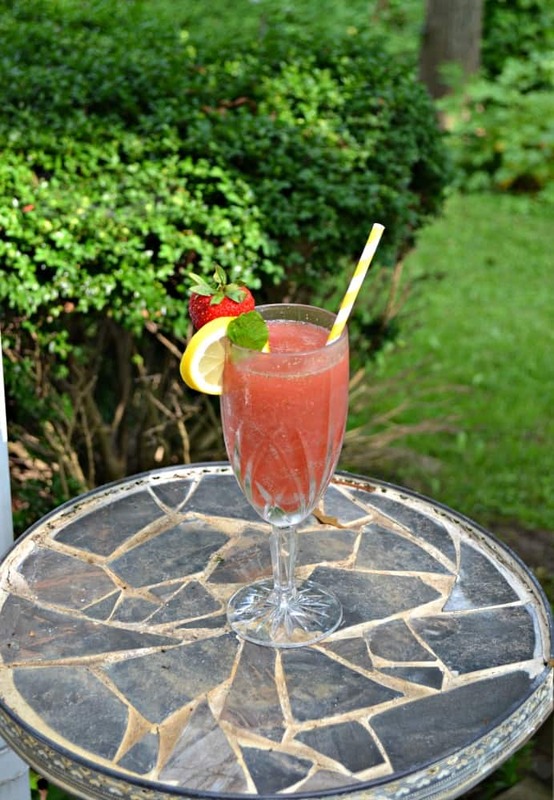 I used what I had in the house and in my garden to make this frozen cocktail. I grabbed fresh mint and bee balm from my herb garden and a pint of strawberries from the farmer’s market. I also had a few lemons in the refrigerator and grabbed those as well. I figured since the wine itself was sweet it would be good mixed with the tart lemon juice. 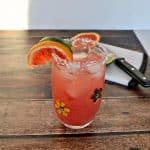 This is such an easy drink to make because everything goes in the blender and that’s it! I put the strawberries, lemon juice, herbs, and Moscato in the blender along with ice and blended it until it was smooth. I ended up adding more ice at the end because it wasn’t quite thick enough. It turns out to be a pretty pink color with flecks of green in it. It’s sweet but not over the top sweet. The fresh squeezed lemon juice really helps to balance out the flavors. It has a fruity strawberry flavor to it as well. I garnished mine with a strawberry, slice of lemon, and a mint leaf. 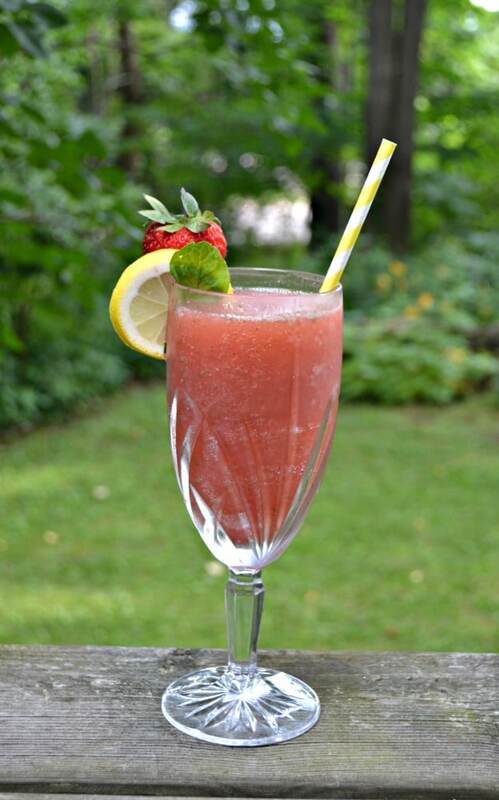 It’s pretty, refreshing, and perfect for summer gatherings. Place the first 5 ingredients in the blender with 1 cup of ice. Blend until smooth. Add the remaining ice and blend until smooth. 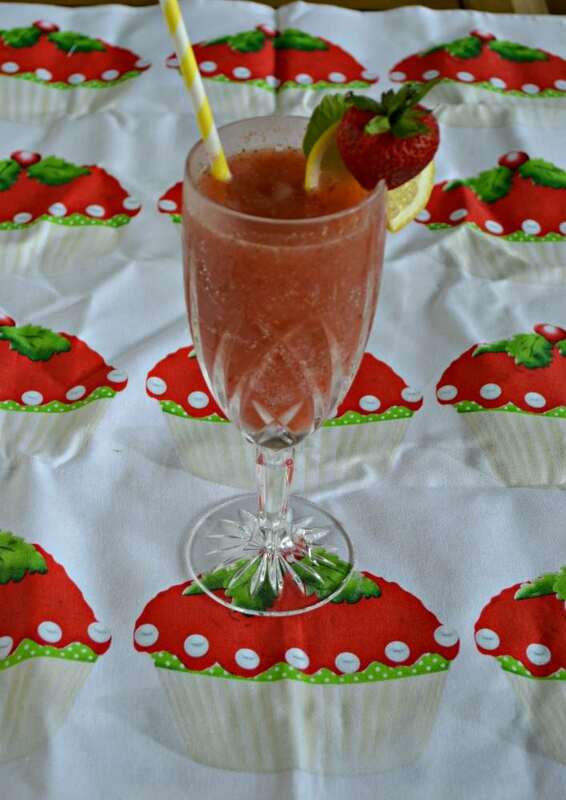 Pour into a tall glass and serve with a slice of lemon and a strawberry. 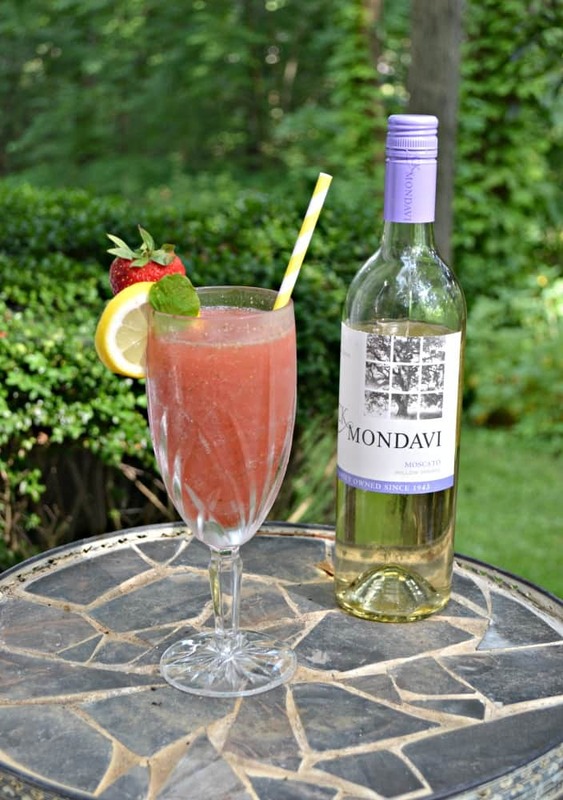 CK Mondavi provided me with the wine but I was under no obligation to use them in a recipe. As always all opinions and photos are 100% my own.